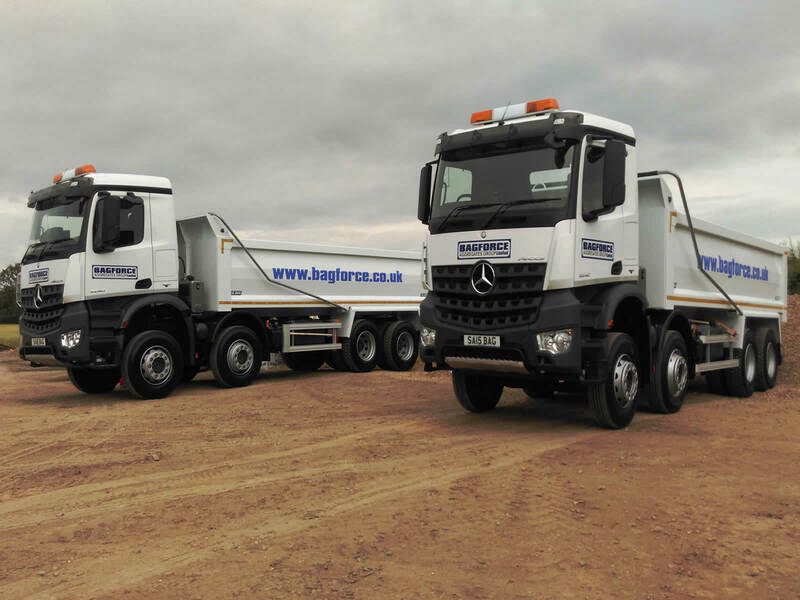 Based from our Harby Depot on the Leicestershire/Nottinghamshire border, We operate a small but modern fleet of 8 wheeler and articulated tipper vehicles. 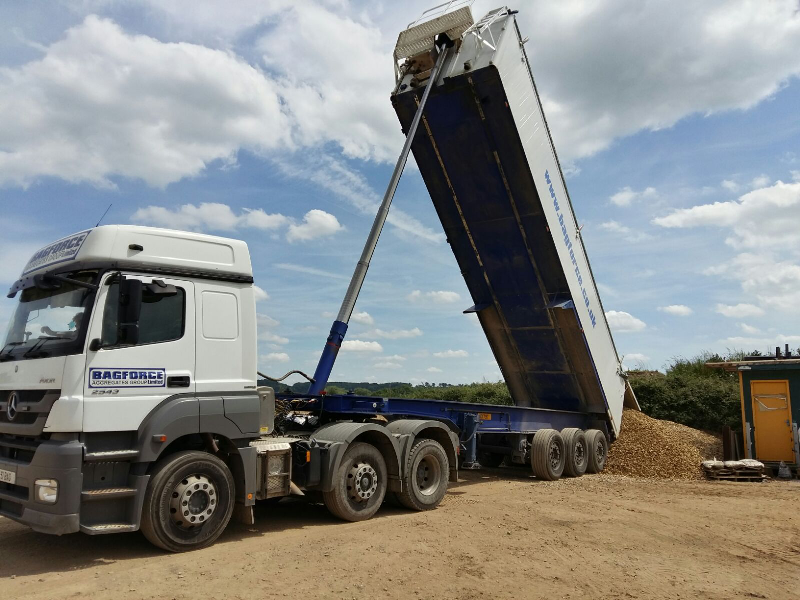 Supplying Aggregate & Haulage Services we operate mainly within the areas of Leicestershire, Nottinghamshire, Lincolnshire , Northants & Cambridgeshire supplying not only from our depot but collecting also from a wide range of Sand, Gravel, Limestone & Granite Quarries within those areas. 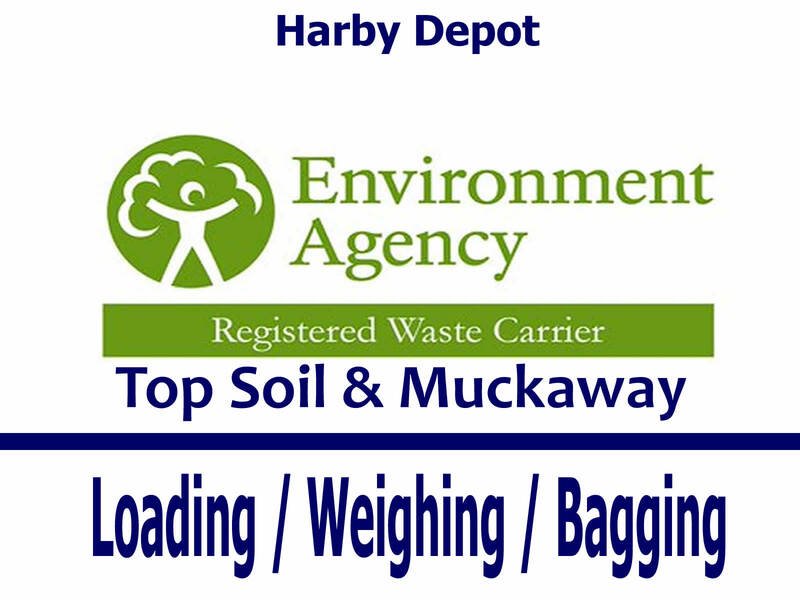 We also hold a Waste Carriers Licence for Topsoil & Muckaway requirements. Specialised Vehicles. Our vehicles are equipped with automatic easy sheeting systems, on-board weighers , audio & visual reversing features for maximum efficiency & compliance. With lower sided aggregate ali bodies they are specialised in the supply of dry aggregates, thereby reducing any risk of cross contamination between loads. All our drivers are trained professionals, fully equipped with all PPE; EPIC & Driver CPC qualified; they take a pride in working to the highest standards required to provide an outstanding & safe service to all our customers. With many years experience of driving LGV’s they are fully conversant in handling the vehicles to the utmost of their capacity. 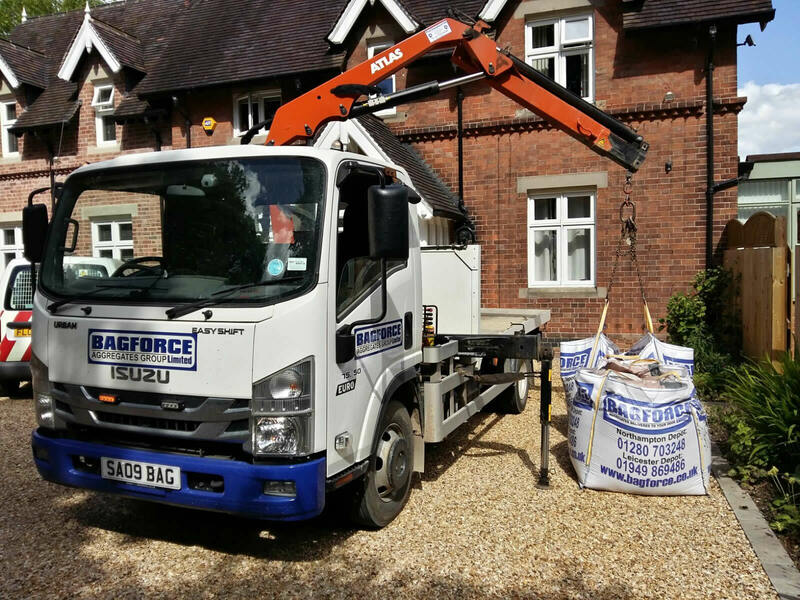 Local delivery of smaller loads, we also operate smaller 7.5 tonne vehicles, both with Tipping & Hiab off-load for Bulk Bags. As smaller vehicles with a maximum payload of 4 tonnes or 4 bags, they provide a more specialised & bespoke service where smaller quantities are required or access is limited, and they operate more locally within & around our depot. Supplying mainly within a 20 mile radius of the depot at LE14 they have proved to be a valuable asset in aggregate supply to both Trade & Public. For larger quantities of Bulk Bags where delivery is required, we have access to dedicated Sub-Contractor Fleets enabling us to offer further options best suited to our Customers requirements . Please contact the office in first instance to discuss your haulage requirements. Competitive Pricing. Delivered prices will depend on the quantity required and using the vehicle and delivery method best suited to the customers individual requirements. Outlined below a brief description of vehicles available for information purposes however we strongly recommend contacting the office to discuss & confirm individual requirements prior to booking. Up to 30 tonnes capacity approximately. Specialised vehicle generally used on depot deliveries only as requires level & firm hardstanding & much larger turning circle. Up to 20 tonnes capacity approximately. Up to 4 Builders bags per load. 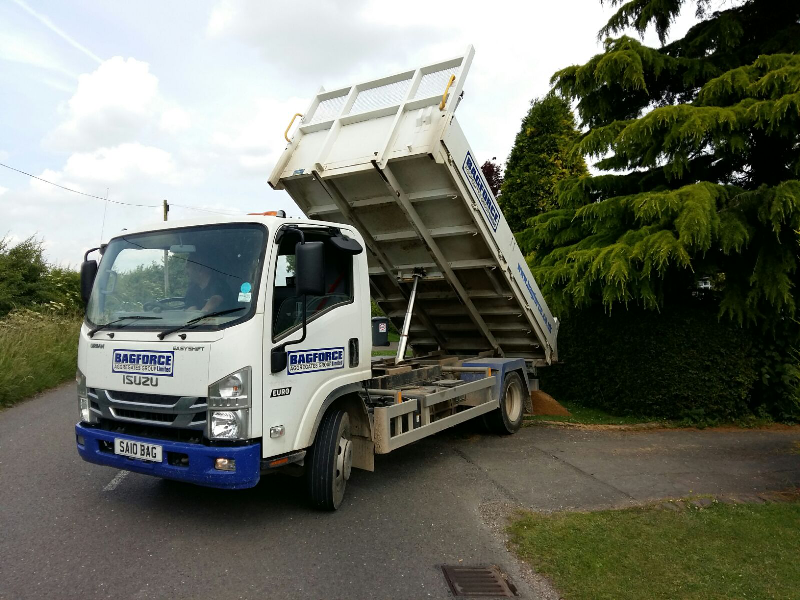 Specialised vehicle for delivery of individual or smaller quantities of Builders bags, or where access is limited. Bags are off-loaded using the on board Hiab crane, enabling bags to be offloaded over smaller fences, walls etc. Bags can be split on site at the customers request for ease if required. Empty bags are non-returnable. Up to 4 tonnes capacity approximately. Specialised vehicle for loose delivery of smaller quantities & where access is limited. By using a splitter in the body, the load can be split into 2 separate materials of up to 2 tonnes per load. We have loading and weighing facility to accommodate any size lorry or trailer collecting direct from our yard. We can also offer small 20kg bags on most products for collect customers only.